Mobile employee directory lists all current employees in alphabetical order and lets you quickly find necessary person. Employee profile contains employee name, photograph, contact information, current position, department, birthday, skills and other information. 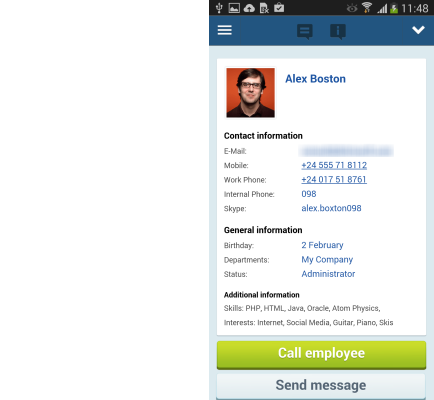 Most mobile HRIS solutions allow you to contact (call or send a message) employee directly from the profile page. 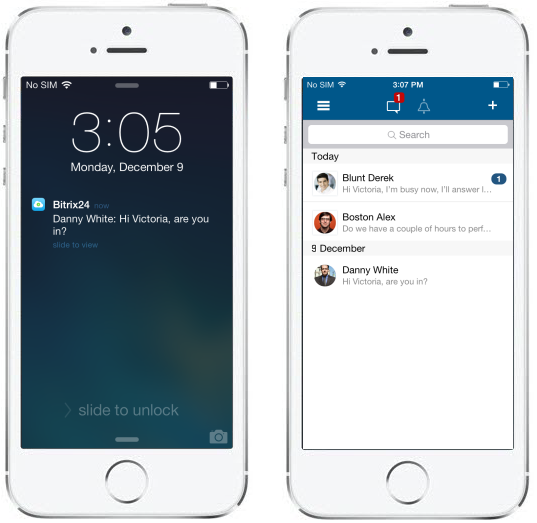 If your HRMS combines features if intranet and HRIS (human resources information system) as is the case with Bitrix24, you can use your mobile HRMS to access company intranet in order to read, post and comment on recent intranet activities. 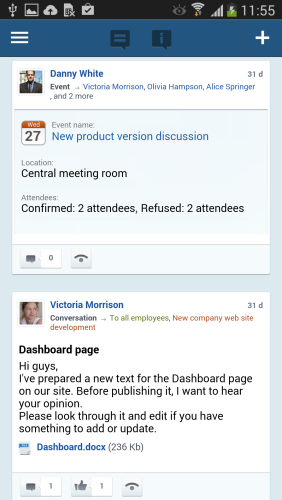 Scheduled events and tasks are accessible by employees in Bitrix24 mobile HRMS. In most mobile HRMS solutions employees can send private messages and participate in group chats, making it a secure alternative to WhatsApp and other group messengers. 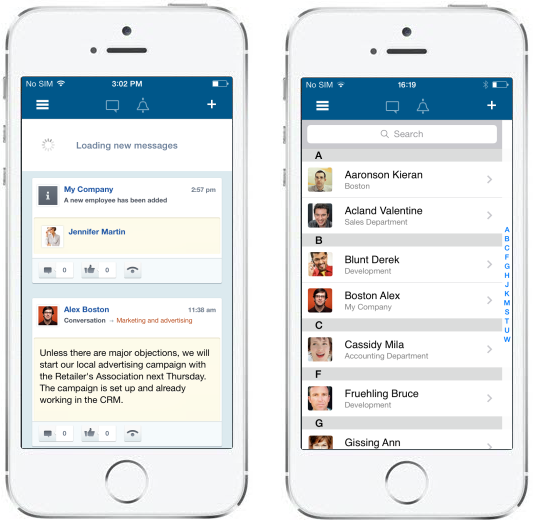 You can also use mobile HRMS to access personal, group or company files. This is very convenient when you are away from your work PC and need to look at someone’s resume urgently. Bitrix24 HRMS is 100% free for up to 12 users.